Mittoni: G.Skill's mind blowing stand & competitions @ Computex 2011! G.Skill's mind blowing stand & competitions @ Computex 2011! "Everyone knows everything is upside down in Australia. They sit, sleep, and eat upside down. They celebrate Christmas in the summer. They drive on the wrong side of the road. But here are some things you might not know. Did you know that the Liberal Party of Australia is actually conservative? Did you know you can get slapped with a bigger fine and gain more demerit points if you own a radar detector (Where it is legal in 48 of the 50 states in America) than, say, if you do a burnout in your car, and then drive 45km/h over the speed limit? Did you know they heat their houses using air conditioners? In other words, if I went to Australia one day and wanted to bake a chicken, I would probably need to put it in the freezer. Indeed, Australia is a very weird place. But as time went on, I sooner or later realized Australia is not the only place in the world where weird things happen. Meanwhile, inside my igloo here in Canada, sitting next to me in the snow is G.SKILL's Sniper F3-12800CL9D-8GBSR2 2x4GB DDR3 RAM. 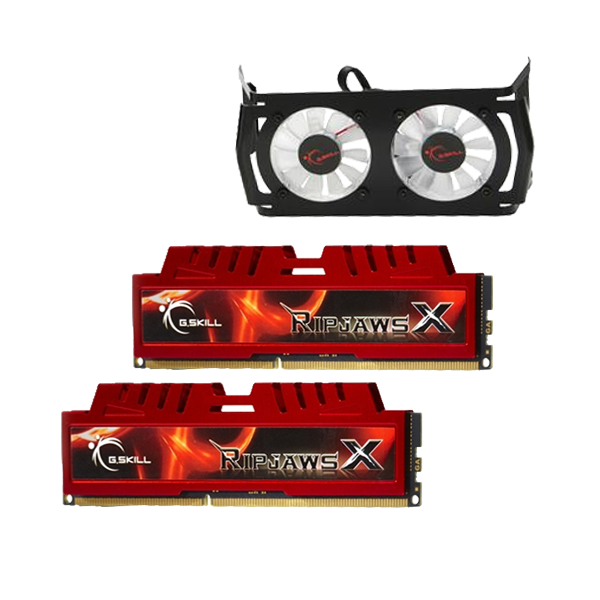 What's so weird and against the norm about this dual channel kit is it has the looks and capabilities of high performance memory, but its voltage requirements is along the line of low performance 'eco' RAM designed to save power." G.Skill F3-12800CL9D-8GBSR2 review by Aphnetworks - Introduction / Conclusion. "From a physical perspective, what we have here is a pair of RAM built on a desirable black PCB (Okay, no one can see that once it is installed, but those are just the minor details) with a sharp red medium profile heatsink (You can actually see this after it is installed if you have a windowed case, and no Noctua NH-D14 to block your view). But the beauty of G.SKILL's PC3-17000 Ripjaws-X is not just skin deep. This is 8GB of ultra high performance memory. 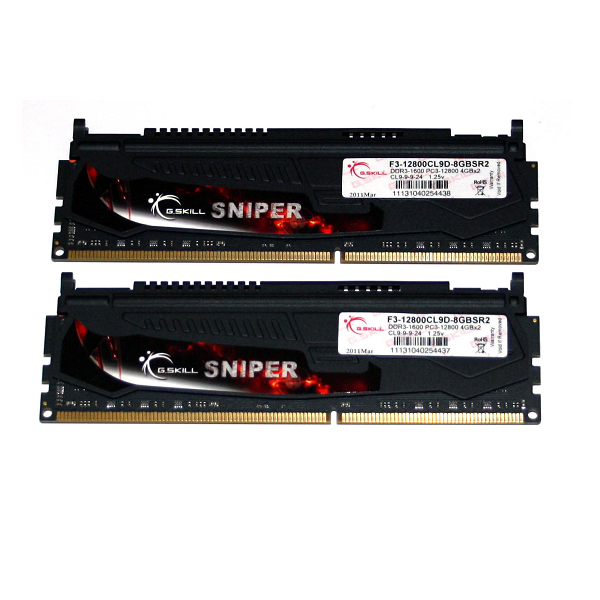 While fast 4GB kits can easily be found everywhere, 2x4GB DDR3-2133 kits are far and few in between." G.Skill F3-17000CL9D-8GBXLD review by Aphnetworks - Introduction / Conclusion.